The Range Rover SDV6 Hybrid is the world's first diesel hybrid SUV. This story is from the current issue of the Automotive News Europe monthly e-magazine, an exciting new product that is also available to read on our iPhone and iPad apps.You can download the new issue as well as past issues by clicking here. 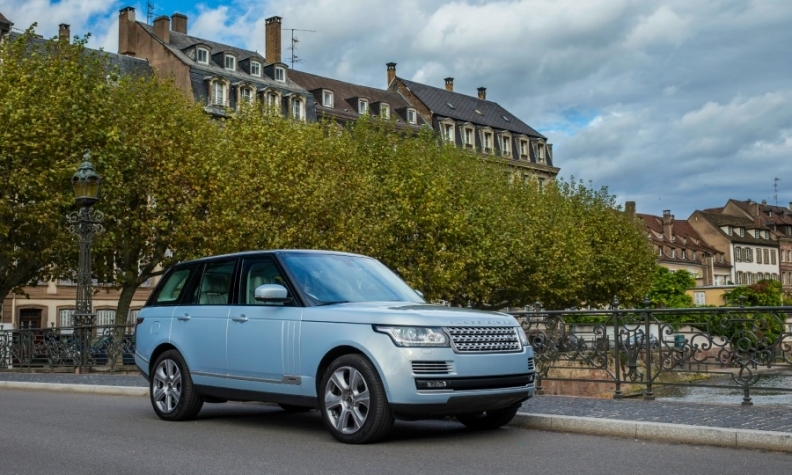 Land Rover says the Range Rover SDV6 Hybrid offers the performance of a model powered by a V-8 diesel engine, but with fuel consumption 14 percent below that of the automaker's standard V-6 diesel. Does the diesel hybrid still have the brand's off-road capabilities? Absolutely. After setting the suspension to off-road height, the approach angle is 29.6 degrees and departure angle 27.3 degrees. Wading depth is 900mm. ZF Friedrichshafen provides the 35kW electric motor as part of its 8-speed automatic transmission; Johnson Controls supplies the lithium-ion battery pack; Continental sources the electronic control unit. Does the hybrid lose trunk space? The battery pack is housed below the floor pan so no trunk space is lost but fuel tank capacity is reduced by 5 liters to 80 liters. How much weight does the hybrid system add? In total: 120kg, of which 46kg is for the battery. Land Rover is responding to increasingly tougher CO2 emissions limits and consumer demand by introducing the world's first diesel-hybrid SUV. The brand has no plans for a gasoline hybrid. "We wanted to create the most efficient Range Rover ever, so we started from the diesel engine, which is intrinsically more efficient than a gasoline unit," said David Tickle, program manager for hybrids at Jaguar Land Rover. The hybrid system combines Land Rover's 3.0-liter SDV6 diesel engine with a 35kW electric motor integrated with ZF's eight-speed automatic transmission to deliver 340 hp. Fuel use is 6.4 liters per 100km (44.1 mpg UK/36.7 mpg U.S.). The same hybrid system now is also available on the Range Rover Sport.